Union had complained that members were subjected to a hostile working environment. 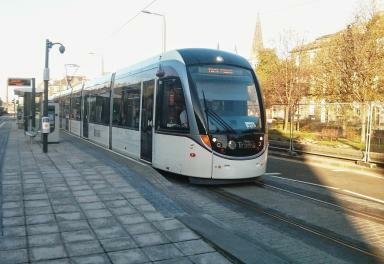 Edinburgh tram workers will no longer strike during the festive season after holding talks with bosses amid allegations of bullying. An agreement has now been reached to overhaul the company's sickness and capability policies. Workers' union Unite had previously balloted members on strike action following complaints of a hostile management culture at Edinburgh Trams, which it was claimed had resulted in the bullying and victimisation of members. Almost 70% of Unite members who took part in the ballot favoured industrial action, however the strikes scheduled for the Christmas period will now not take place. Unite regional officer Lyn Turner said: "Following talks as a result of a ballot for industrial action by Unite members, an agreement has been reached with the company. "Unite is therefore withdrawing the threat of strike action. "Our members are satisfied that the company has listened to their concerns and has agreed to change practices which will halt strike action. "This is the best outcome possible for all those involved."